Getting in shape is never easy. It doesn’t matter if you are a future weight-loss reality show contestant or just someone that needs to drop some winter weight before the summer. It takes hard work; hard work that some of you can complete on a Weslo Cadence G 5.9 treadmill. But I am not one of those people, and for that reason, I cannot recommend this treadmill. I’m a big guy. I do need to get in shape and would like to. But I can’t use the Weslo Cadence G 5.9 treadmill because it’s weight capacity is only 275 pounds. My goal weight is 275 pounds. If I run on one of these treadmills—well, let’s just say the treadmill is more likely to quit than I am. 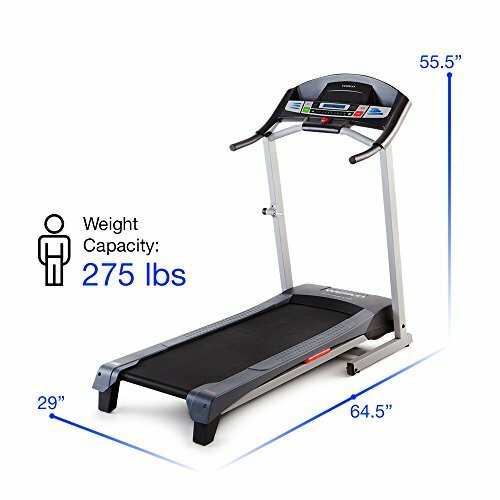 If you are a larger than averaged size person looking to become more average through the joy of running—try a Freemotion 850 treadmill. They are going to cost a lot more than a Weslo Cadence G 5.9 treadmill, but they are much less likely to break down under the strain of your weight. If you are going to overpay for something other than healthy eating options, it might as well be a treadmill that can stand the test of time and your weight. But if you’re not extremely overweight; if you are just in the mid-to-high 200 lbs. range, this is not a bad buy. It may still break down on you within months of your purchase, but for some people, that may be a risk they are willing to take. The Weslo Cadence G 5.9 Treadmill has been reviewed 3,393 times on Amazon with an average review of 3.7 stars. 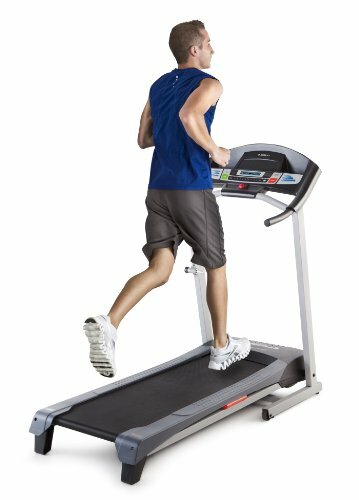 At Walmart, the Weslo Cadence G 5.9i Folding Treadmill (Wal-Mart doesn’t list the G 5.9) has been reviewed 1,612 times with an average review of 4.0 stars. They list one with a large LCD as well. It has been reviewed 631 times with an average rating of 4.0 stars. Let’s be real for a moment here. Yes, we all want to have a treadmill that can withstand the test of time and be used by large, NFL offensive linemen-type people. But those treadmills cost a lot of money. When you buy one of them, you don’t lose weight because you are working out more. You lose weight because you can’t afford food. The Weslo Cadence G. 5.9 is inexpensive. It is easy to purchase without having to take out a loan, sign up for a new credit card, or skip meals. It is an affordable treadmill that can help you get started on your road to health and wellness. Some drawbacks come with lower priced products, but at least you can still afford a Jamba Juice smoothie after buying one of these. The lower price makes it easier to afford which will, in turn, make exercising more convenient for you. 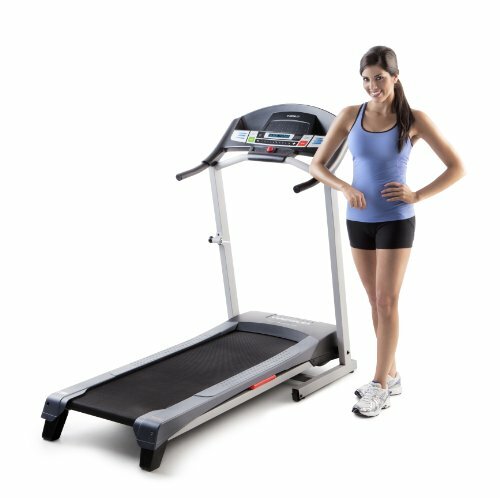 But getting a Weslo Cadence G 5.9 treadmill home and up and running is easy and convenient as well. Many users talked in their reviews how it only took them 20-30 minutes to put it together. Some of the work is easier with help, but one person can get the job done. Storing a treadmill can be difficult for many people, but this one is collapsible! So, after completing your workout, you can fold it up, and store it underneath the bed, in a closet, or against the wall. Since it isn’t extremely heavy (117 lbs. ), it isn’t too hard to move! One of the worst things for all runners regardless of size is the pressure and impact that running on streets, the ground, or on a treadmill can have on your joints—especially the knees. The problem is worse for heavier people. But it is just as real for the slightly larger to average size crowd as well. Nothing will kill your workout plans quite like knee pain. It’s easy to stop (because you are not supposed to exercise a certain way if it hurts) without feeling even a smidgen of guilt. But thanks to the Comfort Cell Cushioning technology used in the Weslo Cadence G 5.9, the impact is not that bad. This is not to say it is impact-free, but you are less likely to develop knee pain from it. Anything that can make exercising less painful is definitely a plus. Extremely overweight people are not the only ones that need to exercise, but they are a significant segment of the market. Since the Weslo Cadence G 5.9 treadmill is not rated for people over 275 lbs. there is a rather large segment of the physical fitness customer base that can’t use it. Could a 300 lbs. person use one? Sure. Will it probably break down sooner rather than later? Absolutely. This treadmill is more for the “I just need to lose a few pounds and then keep it off” crowd, or the “Running is fun!” crowd. To be fair, many reviewers over the 275 lbs. rating said they were able to use it without issues. But there were also many that said the motor couldn’t withstand a heavier person walking on it. Several under the rating talked about the screws coming loose and stripping after a few months. 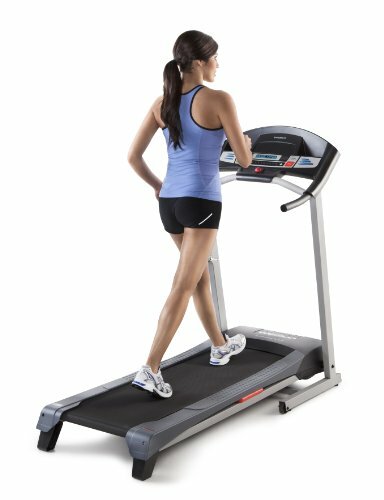 A common feature of many treadmills these days that comes in real handy is the incline setting. If you want to make your workout more challenging, you just need to raise the incline. But if you go too far—no big deal Just lower it back down. Yeah, you can’t do that with a Weslo Cadence G 5.9. The incline setting is only manual and it just has two settings. So, you have to set it before you start and you can’t reset it during your workout without stopping. Yes, working out on an incline is an option. But setting it and resetting is not convenient. 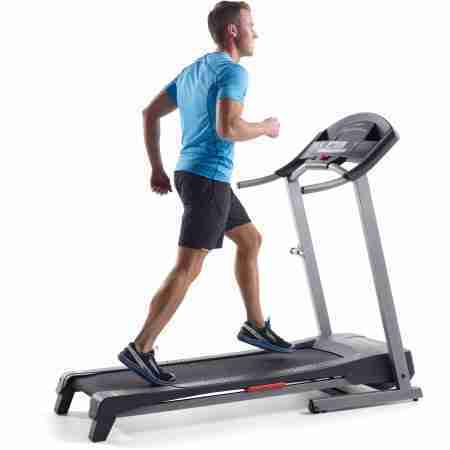 The price is a deciding factor for many people when they consider buying a treadmill. 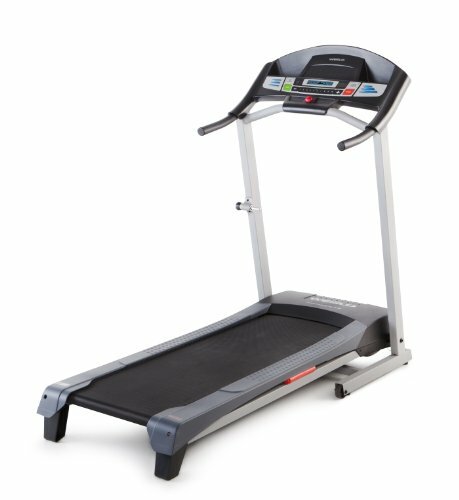 While the Weslo Cadence G 5.9 is one of the more affordable treadmills on the market, there is a reason for that. To make it affordable, they had to figure out ways to cut costs in the construction. That means fewer bells and whistles than many treadmills currently on the market. It also means the materials are of a lesser quality. In a perfect world, every product gets constructed out of the most durable material known to mankind. But that is usually not the case. It would certainly result in everything costing a whole lot more than it already does. That doesn’t necessarily mean the treadmill is a bad one. It just means that it is less likely to withstand significant use from a 350 lbs. person relative to a 180 lbs. person. The Weslo Cadence G 5.9 is not going to be able to withstand nearly as much wear and tear. This treadmill will likely breakdown much quicker than some of the other treadmills on the market. 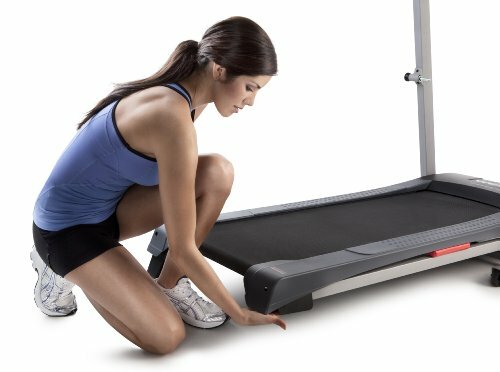 In their reviews, many people complained about receiving their treadmill with broken pieces. That could be blamed on the postal service and/or insufficient packaging. But it could just as easily be the quality of the material that was at fault. A good warranty can make up for shoddy construction and low-quality materials. But this treadmill does not have one. There is a one-year warranty on the motor and just a 90-day warranty on parts and labor. But, according to many reviewers, you need to read the fine print on the parts warranty. They talked about calling into customer service and being told that the broken part was not covered under warranty. If they wanted a new, working part they were told the had to buy it. As for the labor aspect, no one mentioned a repair person coming out to work on their treadmill. Instead, they were often instructed to look for instructional videos on YouTube to do everything. This included installing a new motor when the one that came with the treadmill didn’t work! You would think in a situation like that, the company would take back the defective product and send a new one. But they didn’t. If you are a larger person looking to get started on an exercise routine while still being able to afford food, you could go with a Weslo Cadence G 5.9 treadmill. It may work out for you, and you may reach your goals with it’s help. But if you are over the 275 lbs. that the machine is rated for, you may soon find yourself eating food while staring at a broken-down treadmill. As you get depressed after thinking about how much it cost and the fact that it’s already broken, you eat more– and the vicious cycle continues! The Weslo Cadence G 5.9 is a good treadmill for the thinner crowd and maybe those slightly above average. But if you need to drop some serious pounds, don’t go with this treadmill. It is easy to afford, but it isn’t going to last. It is also worth noting that the company’s official description includes a California Prop 65 Warning: WARNING: This product contains one or more chemicals known to the State of California to cause cancer, birth defects, and other reproductive harm.